Pure Style Home: Our Kitchen Plans... from restaurant sketch conception to real life kitchen!! 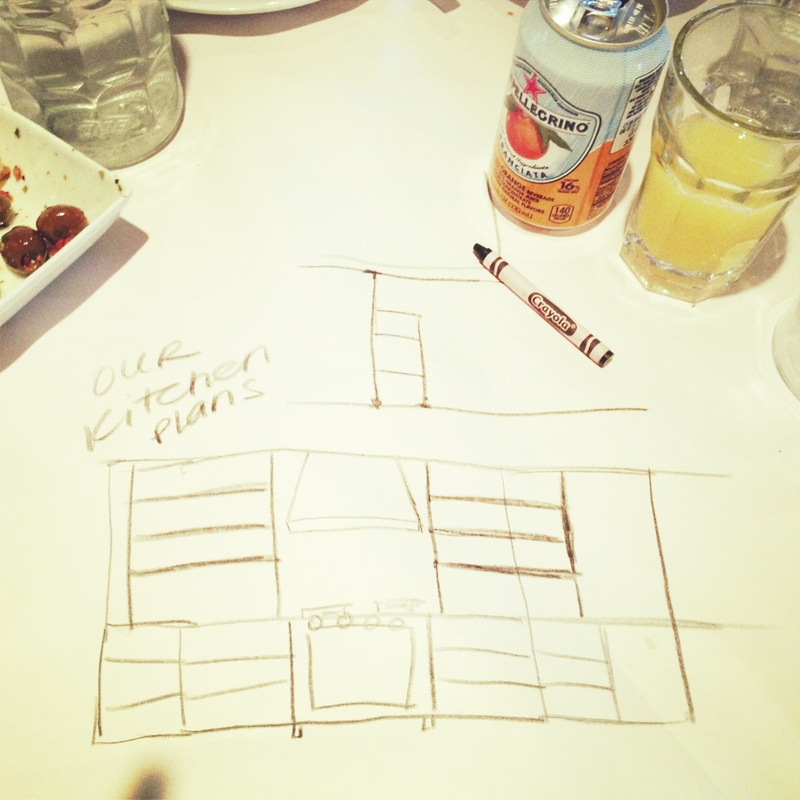 Our Kitchen Plans... from restaurant sketch conception to real life kitchen!! We got rid of the peninsula in the kitchen separating it from the breakfast room because I've always wanted a stand-alone island and because I wanted it feel more like one large space instead of kitchen & breakfast room. The island visually separates the living room from the kitchen just the right amount & without it, I think it might feel a bit too much like you were cooking in the living room. me- "Ok, Mike, got it??" ..Just what I meant by the scribbled sketch = yay!!! Tom & the team at Owens are true craftsmen & I can't wait to see the shelves!! We'll have wooden shelves inset into the iron frame for a soft landing for dishes, mixing bowls & drinkware. There won't be any upper cabinets in the entire kitchen and I'm leaving the wall above the sink empty so I can pack it with my collection of vintage oil paintings. The kitchen is generally very clean & simple so I want to introduce a slight bit of mayhem/clutter/color in there above the sink. The paintings also feel more "living room" less "kitchen" to me so I think the painting wall will bridge the kitchen-living-room-gap nicely. ....Now that it's in, the refrigerator actually doesn't seem far away at all, so I am so happy we made the move. It also helps to expand the kitchen itself beccause we added cabinets & a countertop next to it for storage & space to set down groceries and prep. (A lazy susan is in the corner for our canned food.) 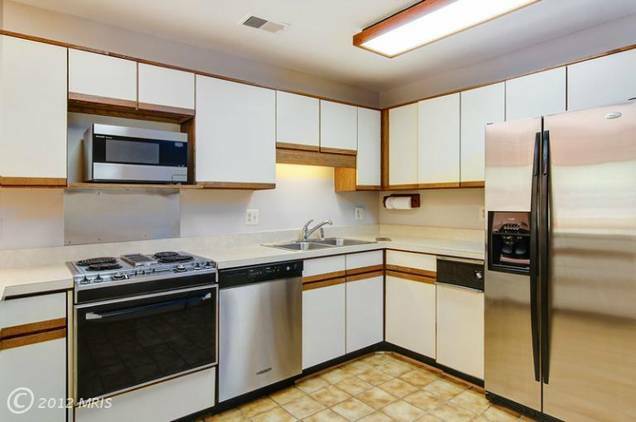 The microwave is under the counter beneath the window, which is great because now someone can grab something from the fridge, heat it up in the microwave and not even have to go near the main cooking area. I'm selecting paint for the perimeter cabinets (drawers really) today so wish me luck!! I'll keep you posted!! Also, thank you so much for the kind words about the FW Magazine cover... It was a really fun experience!! It's so exciting to watch your new house plans unfold! I am playing the waiting game with my kitchen (at least another year off) so it's fun to watch you transform your space. Great idea on all the drawers. Look forward to seeing the progression! Lauren- After reading your blog for years, I'm embarrassed to say this is my first time commenting. This is an amazing transformation! You always inspire. It's so exciting to watch your house evolve. We live in a 70's ranch and I love it! Still have a long way to go to make it our own. Wow, it's looking great already. So far it looks amazing! Im so excited to see the final product! I'm a local to the DC metro area, so really glad to see you are happy with the contractors you selected. Absolutely love the barstools. So glad you're keeping them. Thanks for keeping us posted on your new home--can't wait to see the finished product! oh great progress and LOVE what you're doing to this house. Thanks for sharing! Nice to see the progress and read about how you made your decisions and why! I love the decision about not having any upper cabinets. I think it is so courageous. I think it will be a fantastic kitchen. I can't wait to see how it will look finally. I get excited just seeing your progress! So beautiful and what a wonderful place to live! 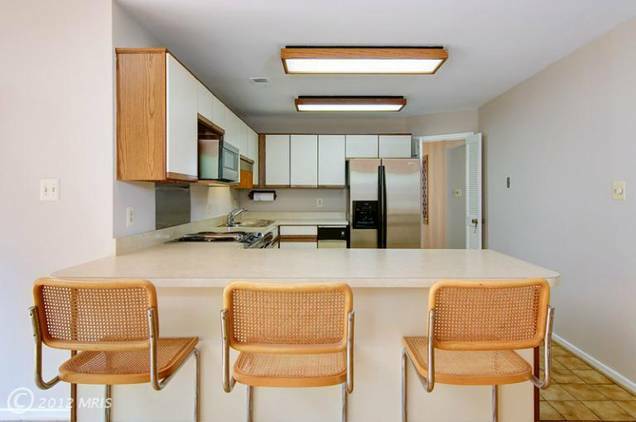 I love that your unkitcheny kitchen is a part of your living room and will be decorated with vintage paintings and no upper cabinets! It sounds wonderful and I love seeing the progress. Have a great weekend. Went from a few drawers on my first kitchen remodel to ALL drawers (except under the sink of course) on this remodel. Best decision I ever made. thank you for sharing this!! been wondering how you would put the kitchen together. Love the idea of your shelves. Enjoy this blog so much!! beautiful!!! I love the new layout and openness without the wall! 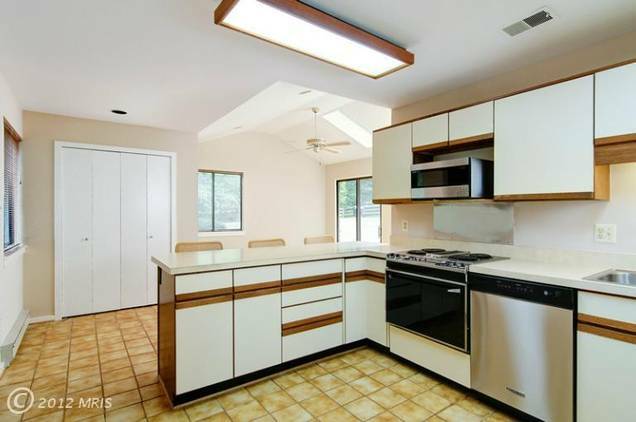 Wow, it sure does NOT feel like the dated kitchen that it started as! I can not wait to see it finished! I love your plans for it- it's definitely going to be a show-stopper! Lauren- Of all the rooms in a home, NEW KITCHEN = HAPPINESS. Wow. The space looks amazing! You did magic with those two feet. Can't wait to see more! So beautiful. We moved out and gutted our 1929 home last year and it was so fun. Each day I would come by several times a day just to see what had happend while I was away (we stayed in a 2 bedroom apartment which was miserable with a toddler and a baby). I loved seeing my sketches and ideas come to life. Now that we are in....I am missing the construction process so much! Fun to watch you! I can't wait to see it all finished. With your spectacular taste, it is going to be stunning! I can't believe how quickly you are getting this done. It is so well thought out and admirable. I will be following all the work on your home. You are truly talented and we learn so much from your sharing your ideas come to fruition. The house looks so good Lauren I love what you've done with it! Is commming along beautifully! The only thing I would add, would've been 36 inch pot andpan drawers next to the stove...or on the island. I, too, put drawers everywhere...and in this kitchen we did several 36 inch banks....and it was night and day from 24 inch. Cannot wait to see the whole thing! I LOVE the view of the new fridge area. That is what makes you an amazing designer, you are willing to take risks that pay off in the end. Well done! Can't wait to see more. Like so many others, I'm living vicariously through you! Oh my. It's going to be SO good. Giddy with excitement for you. Those bar stools are perfect. Some new stain would make them look even better. Can't wait to see everything finished around your new home. Yay! 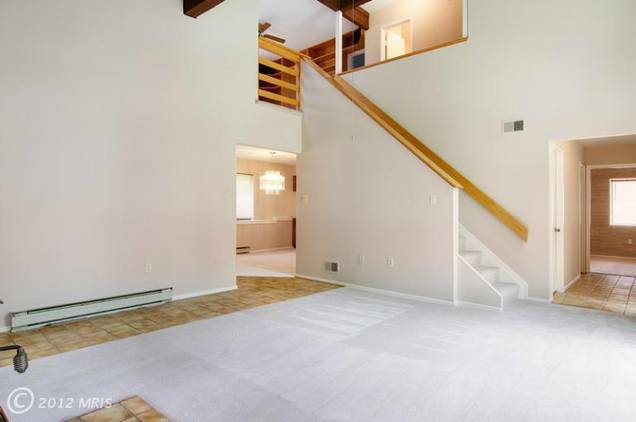 wow its amazing- even the ceilings seem higher with it more open. It's going to be so lovely! I adore the art wall idea. I love watching it take shape! It looks amazing! Can't wait to see the finished product! We lived in a rental home with drawers instead of cabinets in the kitchen. I LOVED it. It made so much more sense to me. If I needed a pot, I just pulled open a drawer and grabbed it, instead of rummaging through a cabinet. It was nice for spices as well - I labeled the tops of all of them and put them in alphabetical order in a drawer. If we ever renovate our kitchen, I am definitely going for drawers! Your home is going to be just beautiful, it's fun watching the process! For security purposes it is best to store very important items in your possession such as travel documents, money and electronic devices. Thieves will be be discourage more to break in once. Dhow Cruise Dubai this is nice way of manufacturing the home and kitchen. i like to have dinner in Dhow cruise Dubai.